If one observes History, one notes that the evolution of the Market (the Progress of man) develops “normally” in a linear way. But sometimes there are leap that mess up all the strategies, the consolidated mindset. Such leaps are not something that is decided by someone – Market Leader, Public Institutions, Influencers. The leap is produced by a trend, which is a bottom up phenomenon: it derives from an ineluctable necessity of Demand. You follow the leap, or you are out of the market (you can, as you are doing now, force things to make the most of the strategic advantage gained in the previous phase, but it is a bubble destined to burst). 1) they have reached more than enough power to satisfy most of the Demand’s needs. 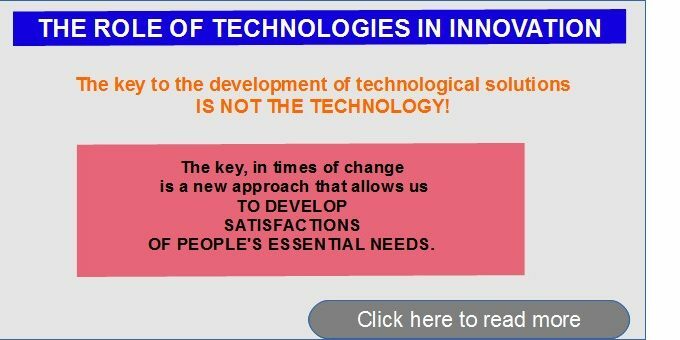 It is therefore no longer necessary (for the vast majority of consumer products) to develop new technologies (or improve the performance of current ones). It is instead necessary to develop new useful applications with the technologies already on the market (those that have now become “low-tech”). 2) the “technologies” had become a sales argument to push the Consumer to buy a new product (which does not actually guarantee better performance-really-useful for the User). The leap of the Market is due to the fact that in moments of History like the present one such moments in the Market, in the Government a radical change of culture develops, of the mindset used up to that point. This is a quantum leap, which leads to a reset, a fresh start in which the great players of the market (and of course the strategies of innovation practiced until then) are destined to disappear. 1) the car of the near future will be radically different from the current cars (Demand requires greater sustainability, affordability, utilities, etc …). 2) the new type of car will not be at all like today as it is proposed: this car will not evolve in the direction of an evolution of technologies (e.g: Self-driving, flying car). There will also be “completely new ideas” like flyng cars. But these will be developed, of course, in “completely new” mode (the current flyng cars are a bit like the J. Verne projects of the flying wagon: good ideas but conceived with a mindset outdated). The flying cars, for example, will be developed in the “ultra-light” version (in the direction of the INNOVA Project LiteMotive – INNOVA has developed a concept of ultra-ligt flying car). Also in the production/distribution area there will be a quantum leap, which will lead to a substantial re-thinking of the product / design process ● process of the production / distribution process.